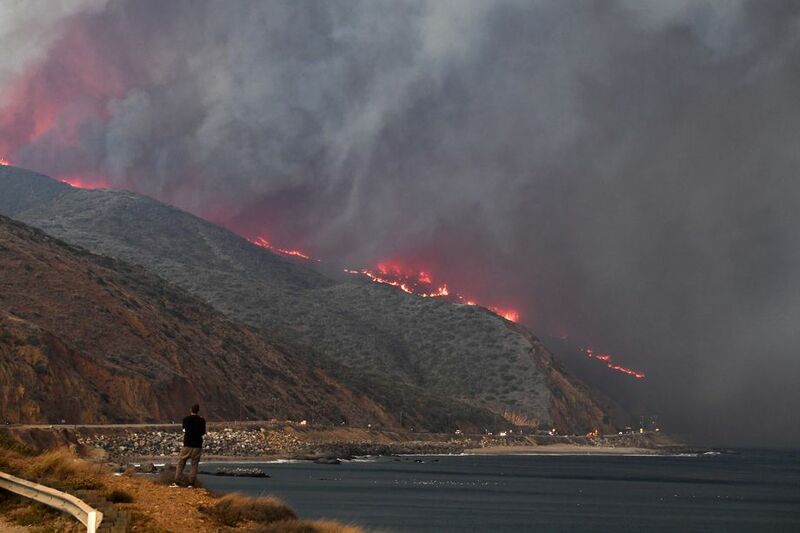 I was going to share a sustainable holiday gift guide for all of you today but, it just didn't feel right or even responsible in my spirit to do so when there are thousands who have lost everything....lost their homes & all of their belongings including many, losing herds of their animals and of course their vineyards, properties, land. And let me add, we all know some even tragically lost their lives. For all of those that lost their homes along w/ the courageous firefighters who are redefining brave, I believe it is our duty as human beings to come along side of them to help. So, let's do it. I encourage all of you to gather with your family, friend groups, small groups at church, neighbors.....to choose a way to provide for these firefighters and/or families. It would also be a wonderful opportunity for you/your loved ones to choose a family that lost their home in the Woosley fire, to provide holiday gifts to their children. Just an idea. I researched very reputable approaches via how we can help. I chose organizations where I have confirmation that they are in fact on the front lines & your donations, etc. will go directly to actually helping. Sometimes with organizations we don't know where our money actually goes & I only donate where I know how my dollars will help and where they will help. This is a legitimate crowd funding that was initially shared by Kaitlynn Carter Jenner: Tina Crowder: Dexter & Sam lost everything. Let's help them everyone! Every single dollar counts so, if you only have one dollar, donate it. Don't be embarrassed because this is how community really works - when everyone contributes and every dollar contributed adds up to much. 2. The LAFD needs so much help! Matt Cutshall (@mattcutshall on instagram who is hilarious by the way, shared how we can help straight from LA). Matt shared on his own Insta Stories that he was even skeptical as to where to donate but, the LAFD has gone over their budget due to this fire & they are relying on our help to donate for all of the people. Thanks Matt! Everyone, donate here. 3. Urgent donations are needed for Rescue Freedom Project. I know this organization very personally & I support them passionately. They lost their Rescue + Outreach Center. All of their animals, volunteers & team members made it out safely thanks to their team working feverishly but, they need relocation expenses & animal care expenses! Donate here please. 4. Ventura County Community Foundation - Donate here: I personally spoke to VCCF. And VCCF is a small nonprofit organization...a 'family of charitable funds created by citizens who care deeply about strengthening the community'. They are based in Camarillo, California. 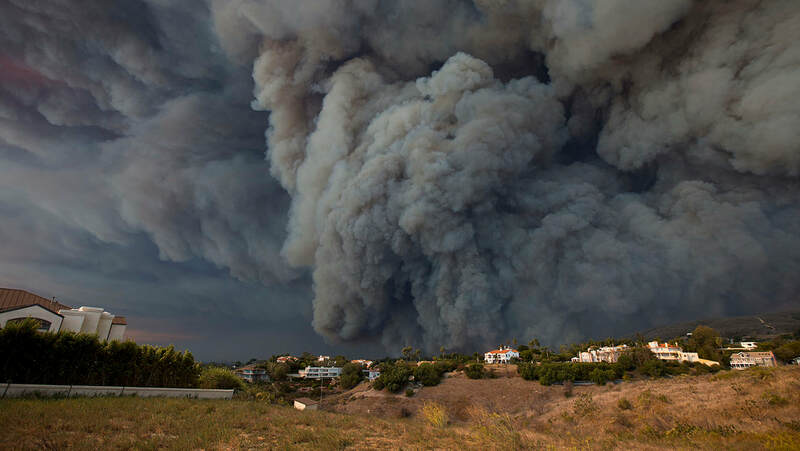 As they say: This Fund is designed to support the immediate needs of community nonprofit organizations serving those affected by these wildfires. VCCF continues to monitor the status of these fires and is in active communication with government and public safety officials. Everyone, these are four amazing (reputable) ways we can help immediately! And again, I really encourage all of us to team with others to 'bear one another's burden's (Galatians 6:2). 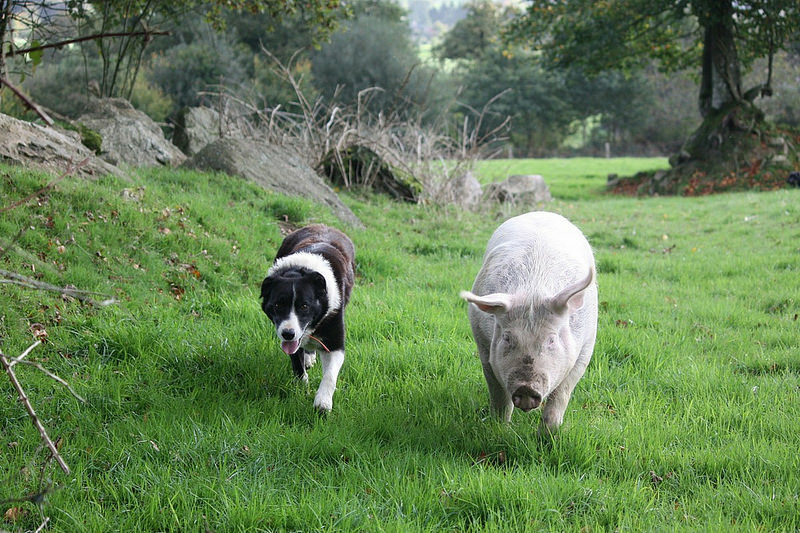 I am always amazed at what can happen for the good of others when we all work together. I really am. So, join me!!! Do you compost? I'd love to hear if do. And if you don't, I'd love to hear why as well. I did not use to compost because 1). I wasn't really educated on composting despite knowing it would be a good decision, 2). I wrongfully assumed it would be expensive to utilize a composting service, 3). I thought it would be gross. I know, ridiculous but, I am all about transparency. I was wrong on all fronts. After reading the book, Give a Sh*t by Ashlee Piper, I made significant changes in my life from letting go of half of all of my belongings (clothes, books, kitchenware...half of everything in my condo including some furniture. I am also partaking in No Plastic November in hopes that the new eco-friendly habits a few friends & I are making, stick to life long habits. I think I will do an entire blog post on Ashlee's book if you would all like. P.S. You can get a used copy of Give A Sh*t on Amazon for 10.00. As for today, let's talk about another easy change I highly recommend to help our environment...composting! I was so excited to learn about Healthy Soil Compost, Chicago's (amazingly simple, convenient & budget friendly) composting service recently. 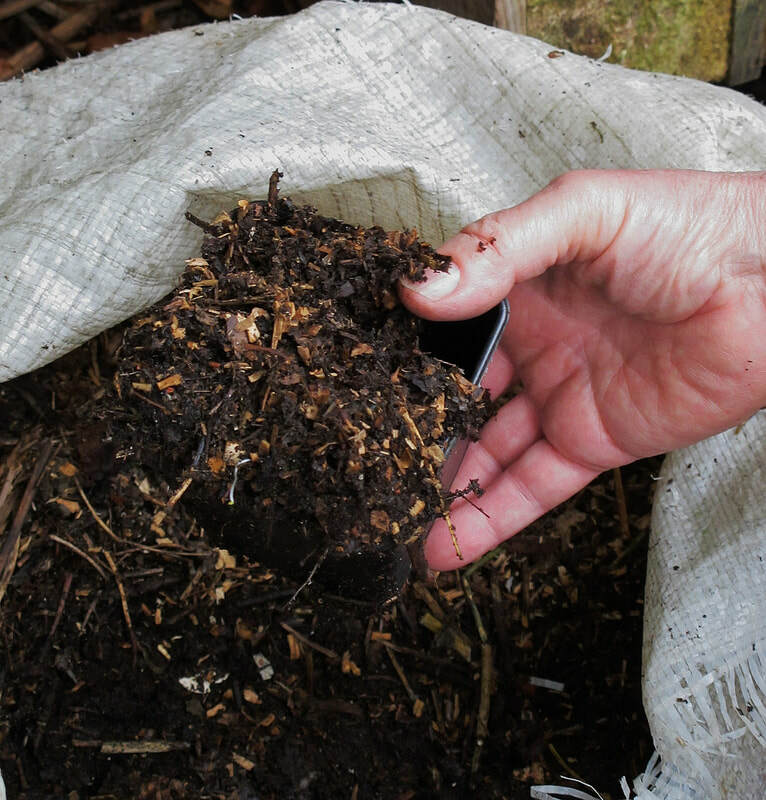 What is Healthy Soil Compost? 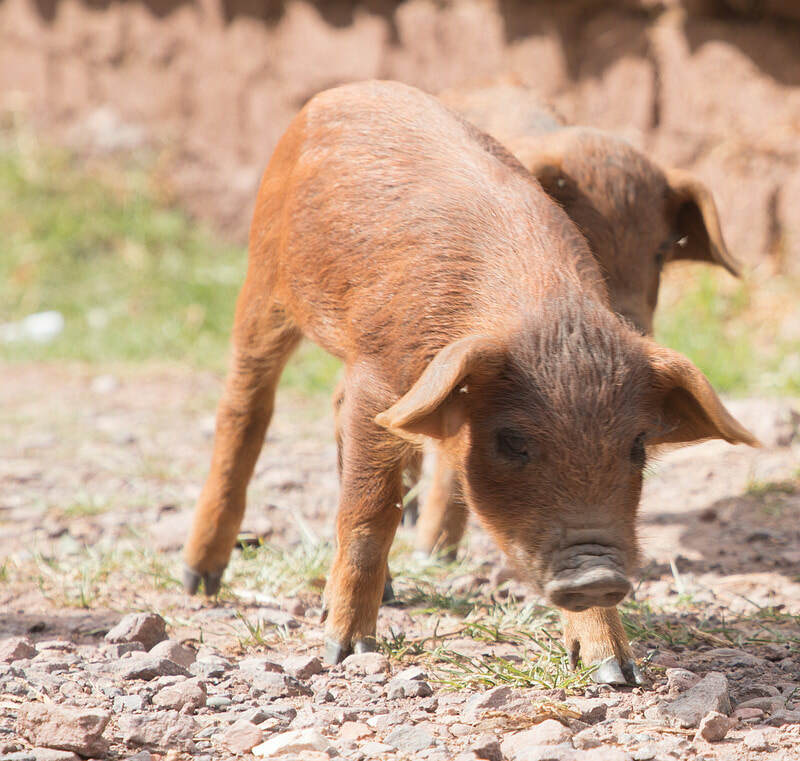 In their own words, Healthy Soil Compost, LLC is a hybrid hauling solution to organic waste. By utilizing bicycles and motor-vehicles we provide a dynamic approach to community resource transport. 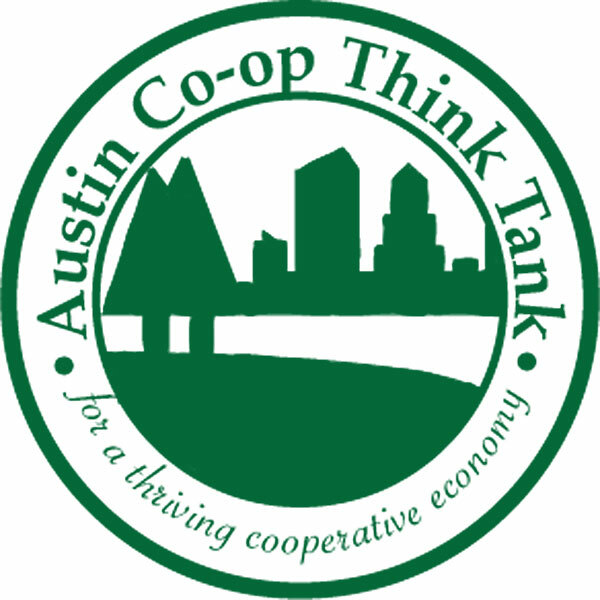 We partner with licensed organic recyclers to process local, organic waste back into nutrient-rich energy for increasing soil health and community urban farming. We provide residents and businesses with all materials to start composting and reducing the load headed to landfills every day. So when you sign up, they provide the container w/ liner & the lid. And they deliver this to your door as well as pick up/replace w/ a new container however often you sign up for. How amazing is that!!!! They provide every last instruction in addition to providing all of the 'how to's' and a compost guide so you know what to compost and what not to. And you can compost for as little as 20.00 a month. Just go to Healthy Soil Compost website to sign up! Well hello all. It's been months. How are you all? 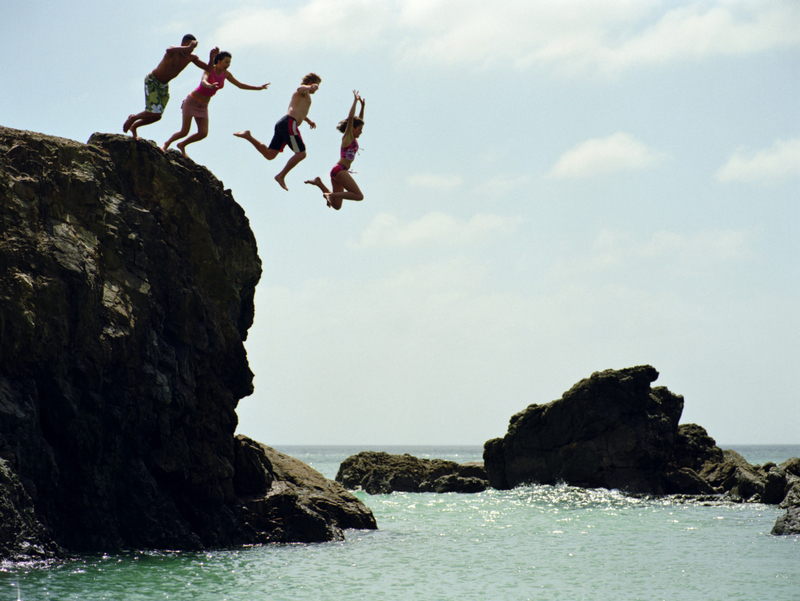 Write me & tell me where you're traveling to this summer and how you are. Where to begin. Let's begin with some fun news! And that is that I am going to be blogging more regularly. I have missed chatting with all of you & exchanging resources involving all aspects of wellness! We are all so like minded & it's such a blast actually interacting with this community. Please let me know any specifics you would like to chat about. Today, I am going to share what has me excited these days! I am going to touch on a list below and please know that these topics will each receive their own blog post in the weeks & summer months to come. I feel like chatting over tea is so cozy so, if you are a tea fanatic like me (Hello David's Tea lovers), grab a cub and meet me back here in a few. I cannot wait to get further educated 'with' those of you who want to learn more about homeopathic medicine. I have learned a lot about homeopathic medicine in the last few months and I am fascinated. I fee like I am well versed via herbals, most plant & integrative medicine & essential oils but, I have been intrigued by homeopathic medicine after hearing the benefits for friends & their children. So, I researched & read, listened to my friends who have become experts & tuned into the professionals, particularly by Joette Calabrese & Susan Meyers, I trialed several and I will be sharing my thoughts with ya'll. Note it will be my next blog post. If you read one of my recent Instagram posts, you'd know that I am really looking forward to participating in #mbgrevitalize this year. I am going to be live-streaming from the comfort of my condo (most likely from bed)! Go here to learn about this incredible gathering where we all get to learn from the top innovators & visionaries in the entire country about how we can be part of the solution to so many of our worlds challenges. And why wellness is a big answer. I am - frankly -impressed w/ how educated so many of you are on Lyme Disease. And for those of you who are not, I really appreciate your curiosity and questions. Thank you for desiring to learn while & so many fight to heal. I desire to learn about whatever you'd like to share with me too. OK, for those that actually suffer from Lyme Disease, I know many of you are desperately in need of resources. I find that there are 'so' many resources explaining & educating on the disease itself which is wonderful. And I also love hearing personal stories of those with Lyme Disease & their journey's so I know how to better support you. But, I am always on the hunt for a simple yet effective list of tried & true reputable LLMD's and healing modalities that have actually worked for others. So, because I couldn't find a lot out there outside of books (and I often don't have time or energy to read lengthy books or leaf through numerous pages on websites) , I am going to create a simple 'one page' reliable resource for you right here on the site. You all know (even if you barely know me) that I love a busy organic farmer's market! I get giddy - truly. 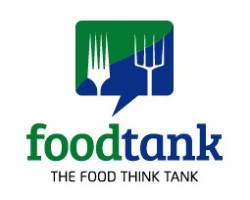 This summer, I am going we are going to go much deeper into understanding the sellers at the farmer's markets, their crops, why they choose the produce they do and why sustainable living is crucial (and fun). 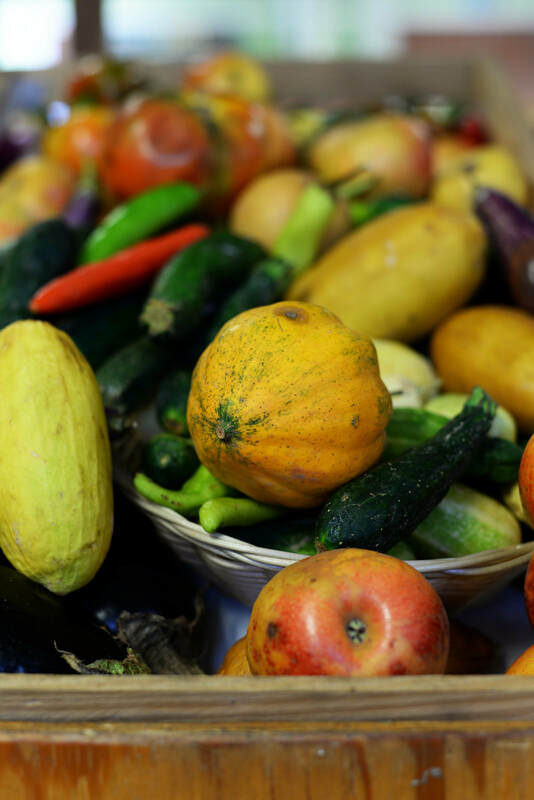 In the past on this blog, I cannot say I have been a 'resource' as far as farmers markets go other than sharing logistical lists of the best farmer's markets in various cities. So, let's get further educated together. Shall we (smile)? Thanks everyone for tuning in and being patient with my 'occasional blogging'. Those of you on the upward trek of healing know healing equates to inconsistencies that frankly, are due to circumstances outside of our control. This blog is simply a means to personally educate you all when I am able & to be a friend - a resource - to all of you via all aspects of wellness. It's also a space for me to learn from you & get educated along side of you. Please know it is not a professional blog space (one day it will be) so, there are no current advertisements, collabs, etc. Go enjoy that summer heat this weekend. We have waited a longgg time for it. Good morning everyone. 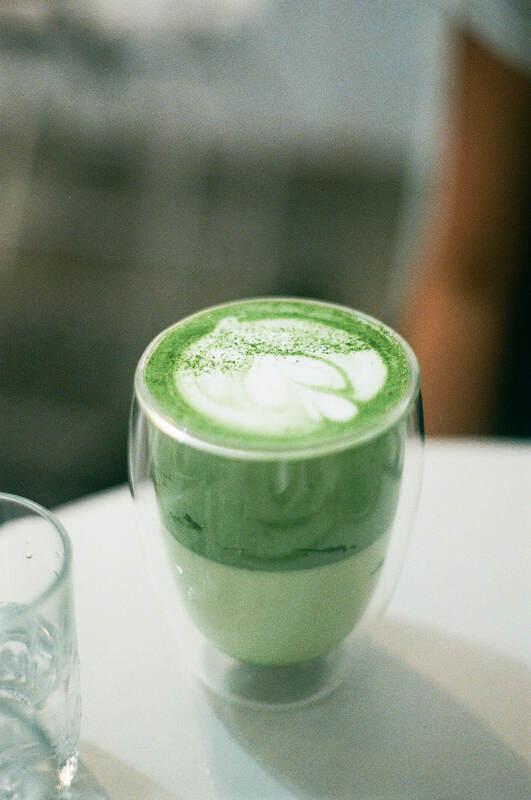 Grab your coffee while I grab my matcha concoction (haha) and let's chat blogs. I hope your weekend was wonderful. I feel like the weekend flew by.....as if it were one long day. Whenever it is Saturday night, I always think 'How is this possible'? Sometimes I feel that way about life in general. Today, I am going to be brief but, excited to share with you my favorite blogs. I no longer 'read blogs' simply to 'read blogs'. I utilize blogs to shop, get educated & purchase product. Despite the blogging world being so over-saturated, I am someone who only references a few. I am all about 'the highest quality' via nutrition, clothing, skincare, beauty, supplements, etc. So, my choices are made after a ridiculous amount of research & time experimenting w/ the product (I am an analytical person so, think flow charts, excel spreadsheets, ingredient check lists). When I purchase clothing (which isn't often): The Golden Girl Blog. Jess Keys puts together capsule wardrobes & various shopping 'guides' often which are all so on point & affordable. I immediately head to The Golden Girl Blog when I am looking to purchase any clothing item. I bought every Christmas present off of her blog. Nutrition: It's interesting to me, while I follow a 'lot' of health/wellness lifestyle blogs on Instagram, I only follow two nutritional blogs 'on the regular'. And these two blogs are where I get the majority of my recipes as well as my nutritional advice: Deliciously Ella & Oh She Glows. Health/Supplements: I have three websites that I am always updated on: Dr. Josh Axe, Garden of Life & Vega. I bet my regular followers could have easily guessed at least one of those! Wellness: You all know this answer but, I am a huge supporter of MindBodyGreen.com. I am also a huge supporter of Sarah Baker at Balanced Babe! Skincare/Beauty: I am a huge supporter of Soapwalla & frequent the site. I am also a supporter of shopping w/ Bonnie Knobloch, the Senior Director of BeautyCounter in Chicago. There you have it! If you shop these blogs/websites, I'd love to hear which ones. And please share your 'go-to's' with me! I know it's Monday but, Friday will be here before we all know it! I wanted to provide some words of encouragement to all of you who are suffering & healing from illness......whether you are suffering in an acute season or long term. First & foremost, I am so sorry. There are never right words but, I am really genuinely sorry. I don't even know you but, to know you are struggling w/ an illness makes me want to reach out & hug you. I also want to say, what an AMAZING opportunity for you! Say what?!?! Yes, I said opportunity. God uses 'all things' for our good. If He is allowing it in your life? It IS for your GOOD!!! So, this is an exciting time even though it feels anything but. Secondly, I want to encourage you to keep pushing forward no matter what. 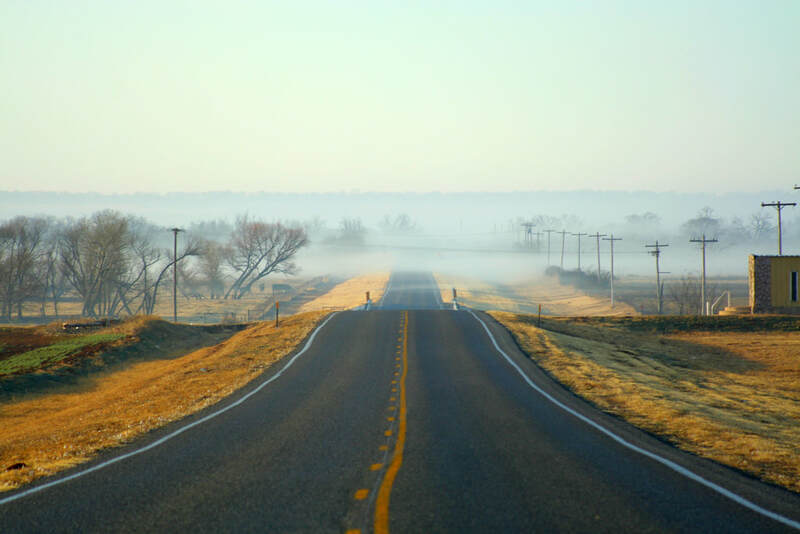 If you are the only one left standing on the road to healing, keep going. There is a quote that really resonates with me 'She is perseverance personified but, she's exhausted. My God, she is is exhausted'. - H.J. Anderson. Can you relate? If so, don't give up....exhausted or not. I don't know why God has allowed this trial in any of your lives but, He has. Do you know Him? Do you know God? Have you given your life to Him? Because I tell you what.....if I would not have given my life to Him when I got sick, I would not have made it through. No way. I wouldn't make it through one day without Him actually. If we look at the world & suffering, the advice for how to manage through the trial & move forward is the complete opposite from how God says to move forward. It's this startling opposition - the world's instructions vs. God's. Here on earth, you will have many trials and sorrows. But take heart, because I have overcome the world- John 16:33. OK, so, we know that trials do not surprise Him. Matter of fact, he said we will endure MANY trials AND sorrows. Next, He tells us 'Finally, all of you, have unity of mind, sympathy, brotherly love, a tender heart and a humble mind - 1 Peter 3:8. So, I am to sympathize & empathize with your suffering & sorrows. And you, with mine. If you are struggling w/ any illness at all, I strongly encourage you to find someone who you can serve whether it be through prayer or baking or sending a word of encouragement. The world would say to 'focus on yourself' but, God is saying to remain in unity with a tender heart.......so extend a hand, get into community even if that means having a cup of tea in your home and love those around you. You are not the only one being refined through your suffering, those around you are too. God is fully capable of healing you when He deems fit whether that is while you are on this earth or when His kingdom comes. 'Now unto to Him who is ABLE to do FAR MORE abundantly than ALL that we ask or THINK, according to the power at work WITHIN us, to Him be the glory in the church & in Christ Jesus throughout all generations, forever and ever - Ephesians 3:20-21. I encourage you to live in utter expectation of His goodness. I encourage you to open a bible to 1 Thessalonians 5:16-18 and do what He says to do. I want to encourage you to focus on HIM vs. your trial. I know how impossible that seems so, you are going to need His help to do that....His strength. Simply ask Him for it. We have His FULL attention. I know this trial wouldn't seem to be a reason to celebrate but IT IS. So unfathomable right? BUT....if you really truly trust Him.....I mean, if you are rooted in Him, you will know that if He is allowing your suffering, it's a part of His plan. Stay close to Him. Stay very close to those who are encouraging, supportive & uplifting. And set all of the rest aside. I believe those of you who are really committed to healing and not giving up......I believe you are going to make it!!!! And 'making it' looks differently for all of us healing. Making it may be glorifying Him in sickness the rest of your life on earth, for some. And for others, making it may mean healing and going back to help save the lives of others in the trenches. Only He knows where your trial leads. This breath of life isn't even about us....it's about Him. I promise you that if you put 100% of your focus on Him, you'll be blown away. Ahhh, I cannot wait to hear all of your stories. I have heard so many & what an honor to listen! If and when you need a pep talk, I am here to give you one. My very dear brother (brother in Christ) told me 'Whatever you do, do NOT GIVE UP'. Never settle in and say 'OK, well, nothing has worked so far so, I quit'. No. You keep going. You keep working hard. You keep trusting God. I highly recommend reading this article. The blog/article is SUCH an encouragement to me & I imagine it will be to you too! I absolutely love listening to podcasts. Truth be told, I listen to podcasts when I am getting IV's & often when I am in bed. Podcasts can be listened to any time.....while working out, cleaning, relaxing, traveling, etc. They are a chalk full of education (often for FREE) on such a wide variety of topics. I asked on Insta Stories today what people's favorite podcasts were. And several of you responded (thank you by the way)! This is my personal favorite podcast (thus far) because Jason talks with authors, nutritionists, entrepreneurs, physicians, physical therapists, chef's, athletes. Basically, he speaks w/ the best of the best in the wellness arena. One of my favorite podcasts thus far is with Ella Woodward from Deliciously Ella. I've yet to listen to all of these but they came recommended. I am listening to Christine Caine's podcast 'Unanswered Prayers' right now actually. And I am a huge supporter of Tim Keller. Rich Roll is this an ultra endurance athlete who is known for his plant based diet nutritional advocacy. And I always think it's industry that he is a former attorney. You can read about Rich here. Rich's podcast came 'highly' recommended by one of my friends on Insta. I've learned so much from listening to this couple about marriage. I am single but, I am thankfully surrounded by friends in such healthy God focused marriages. They are amazing examples for me. And while I don't know Jeff & Alyssa, they are a couple who I have listened to for a few years now. Note their podcast is new to me but, loving it thus far. This may be a surprise to some of you b/c I am not a 'primal' meat eater but, I really love Mark Sisson's podcasts. He is so brilliant & 'highly' educated on health. I actually had the opportunity to interview him several years ago and found him to be so wise via health/wellness. Many of the podcasts are very 'keto' driven but, I always look for the nuggest in between the overall message. It's there where I learn the most. If you have any additional podcasts to share. please do! I am always excited to be further educated! I have worked in medical biotech sales for 14 years+, including a few years in operating rooms for specifically burn patients. And I have spent several years in & out of hospitals, healing from illness. I feel highly educated on health. There is so much irony to my journey that I have been encouraged by Bob Goff to write a book. Yes, that's true! Bob even suggested a title to the first chapter. And should I follow through, I am 100% using the title he suggested. Any guesses? It's two words. When I walk into any hospital (and I've walked into over 50 across the country...yes, I counted b/c I am an analytical nerd), I always feel really confident & comfortable. Because I know my way around an operating room & frankly, every area of a hospital. I am really comfortable with physicians....when I was in the field. I am comfortable with any specialty. But, place me in a hospital as a patient & I get scared and don't feel like anything I learned, applies. I don't feel that compatibility with the physicians any longer either. I don't even relate to them at all. Such irony. Such contrast. To add more irony, I really did not learn about health & wellness until I was a patient. And I became a patient.....'suddenly'....my demise via my health wasn't gradual.......on the surface anyway. It felt sudden & traumatic. And still feels traumatic yet I imagine doesn't appear that way to others who only see me once and awhile.....the irony continues. So, as I heal, I soak in every ounce of education on health & healing. I have learned so much from my own experience. I have sat w/ over 40 doctors (unreal). I have learned from so many of the educators at MindBodyGreen.com. I don't mean by reading and writing the articles but, by actually speaking to so many of them. I also feel God has given me wisdom w/ how to spend so much of my time over the years I have been sick......rapidly gaining knowledge on health & wellness through podcasts, audios, lesson plans, books, videos, physicians of course, nutritionists, etc. I plan to share all I have learned when I heal. Right now, I frankly do not have the energy. Coming on here once in a while to chat w/ all of you is the best I have to give at the moment. 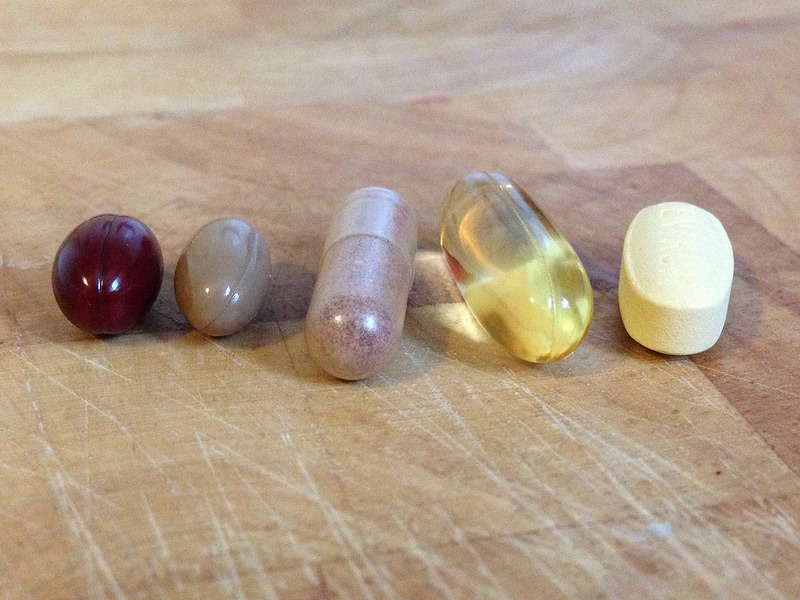 OK, so to jump into today's blog, there are five supplements that I take daily....that I will take the rest of my life. I will take them in additional to any healing regimen or medical treatment and God willing, should I heal fully, I will continue to take them then too. 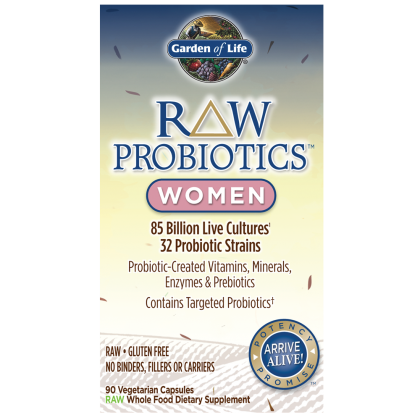 Any probiotic that any physician has recommended does not compare to Garden of Life's Women's Probiotic. This probiotic as 30+ probiotic strains WITH 85 billion live cultures as the bottle states. 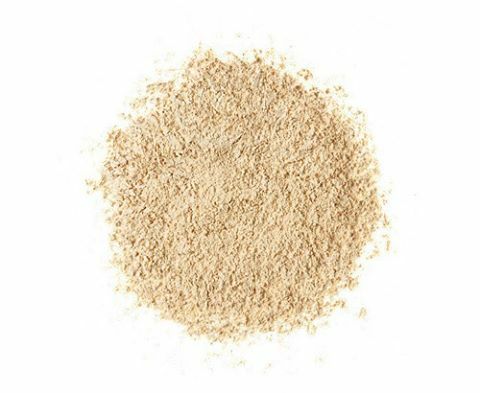 This probiotic is uncooked, untreated, unadulterated, with no binders or fillers and no carriers such as maltodextrin or dextrose. I have tried 'countless' - year(s) worth- of probiotics from naturopathic & integrative physicians. And nothing is better fuel for my gut than this one. Note: It is expensive. But, in this case, you get what you pay for. 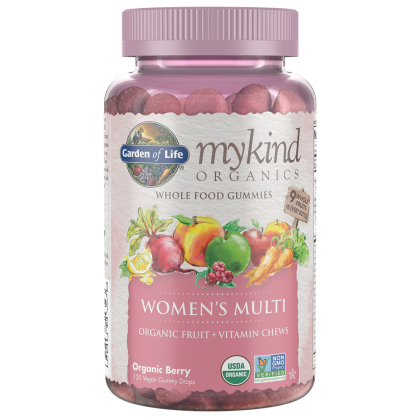 mykind Organics Women's Multi-Gummies. I really trust this brand. I trust Jordan. And no, none of this is sponsored. I really cannot say enough about Garden of Life. 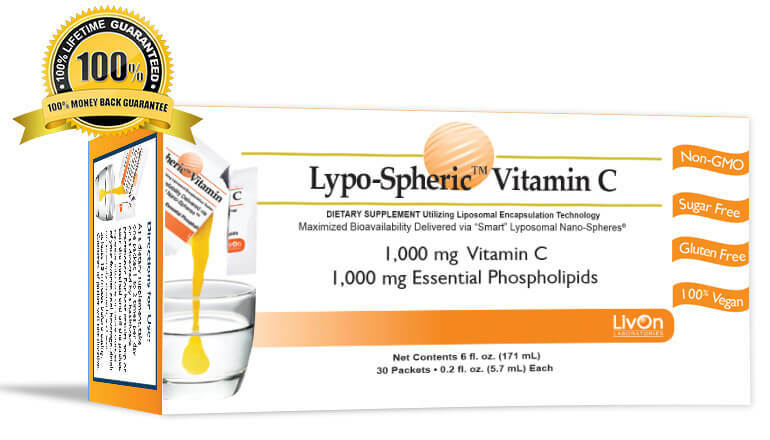 Liposomal Vitamin C readily absorbs in your body. And the wisest physician I have ever worked w/ told me to take two packets every single day (right now I do 10,000mg but, that's simply for my body given the healing process). If the wisest physician you know to date tells you to take liposomal Vit. C., I trust her. And she specifically only uses Lypo-Spheric Vitamin C for all of her patients. You can read why here. If you made it this far - haha - you are all troopers! I only wanted to share 3 supplements so not to overwhelm any of you. But, if you would like to learn more about my absolute favorite pure & natural wellness products from food, skincare to health & healing, please check out my brand new Snapshots of Wellness Shop! This shop is a collection of what I absolutely love! Stay bundled up out there Chicago & of course, safe! 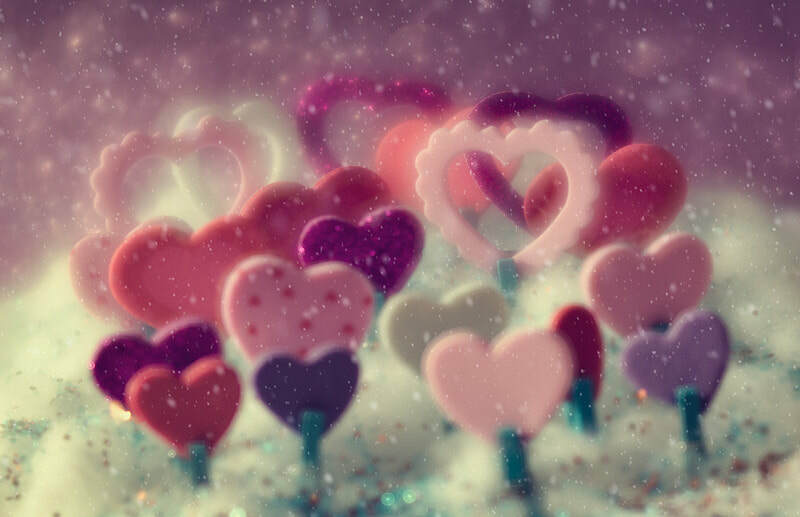 Since I was a little girl, Valentine's Day has always been so much fun to celebrate. Every single year in grade school, I would exchange those small cartoon valentine cards with students at school, dress in pink & my dad would buy me my favorite chocolate candies w/ a sweet card. So, I grew up viewing Valentine's Day as this celebration of love with everyone around me. 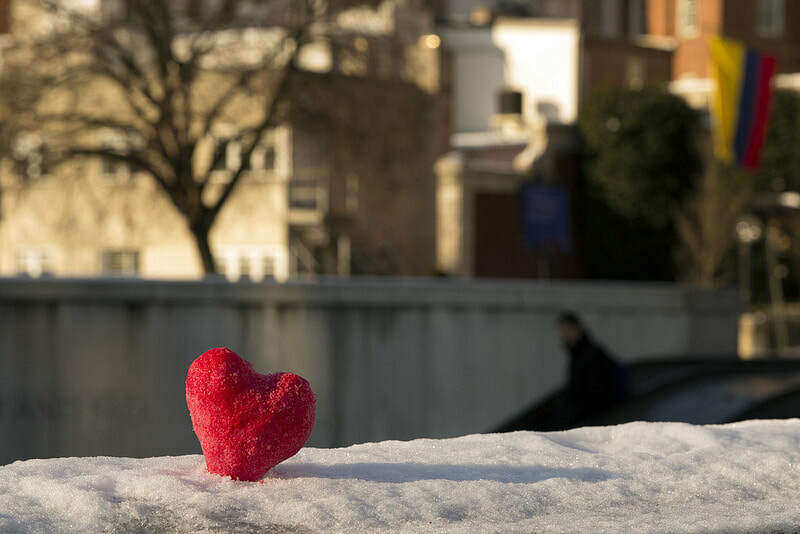 I never experienced Valentine's Day as a couple's holiday. And I am glad I didn't. Because whenever I have been single, I never became saddened on Feb. 14th rather, the opposite! Single or in a relationship, I am that gal dressing up with some hue of pink or red and heading out the door. Below are a few ideas to make this Valentine's Day festive & fun whether you are single, dating or married. I have really gotten away from sending cards the last few years for environmental reasons but, I am picking back up a tradition of sending my friends children a Valentine's Day card in the mail. I love seeing excitement on kids faces when they receive a gift! 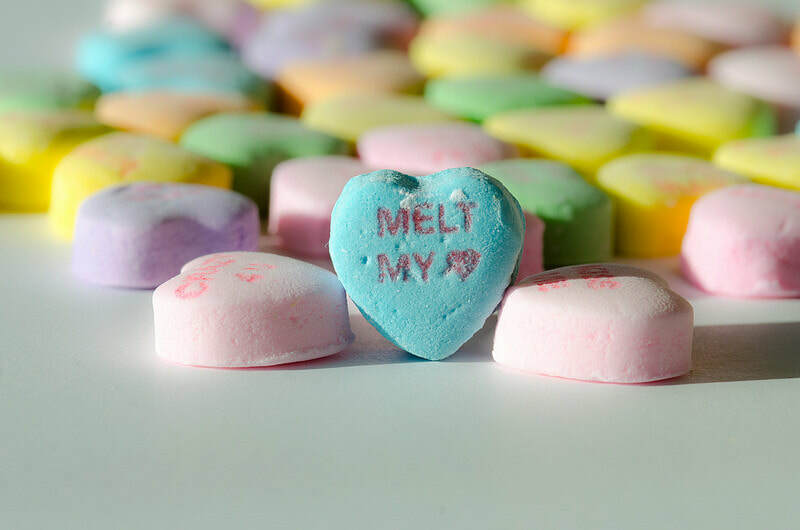 Including the kids on Valentine's Day (your own or loved ones) is such a treat! I can attest that kids love this commercial holiday (I used to be one of them) so, baking cupcakes w/ red sprinkles for them or purchasing lil chocolate hearts will delight them. Bake & cook with friends on Valentine's Day. Whatever you do, treat yourself to a really amazing meal at a restaurant or make your own meal at home. And have fun w/ it. I actually love dining alone (not all of the time of course but, once in awhile) & I have treated myself to a Valentine's Day brunch many times over the years! My favorite restaurant for Valentine's Day single or otherwise is - hands down - Le Colonial. Get out into the city & enjoy a play, museum, etc. Do something fun! Host or go to a party! Get into community with other singles. Buy yourself a chocolate treat or a pedicure. I mean it. Love on yourself! Whatever you do, have fun with it! I am not married but, Valentine's Day calls for a really fab date night! If I were married, I would want to celebrate differently every year. I think a group sushi dinner w/ other couples is a great idea or an Italian meal at home. Take out is always a good idea w/ a delish bottle of wine. If I were dating (If my future husband is listening), I would love to take a cooking class or go to a concert. My entire message to all of you is to celebrate love on Valentine's Day no matter what your circumstances are or what your 'status'....single, dating or married. It's a commercial holiday to have fun with! Enjoy the first weekend in February!!!!! 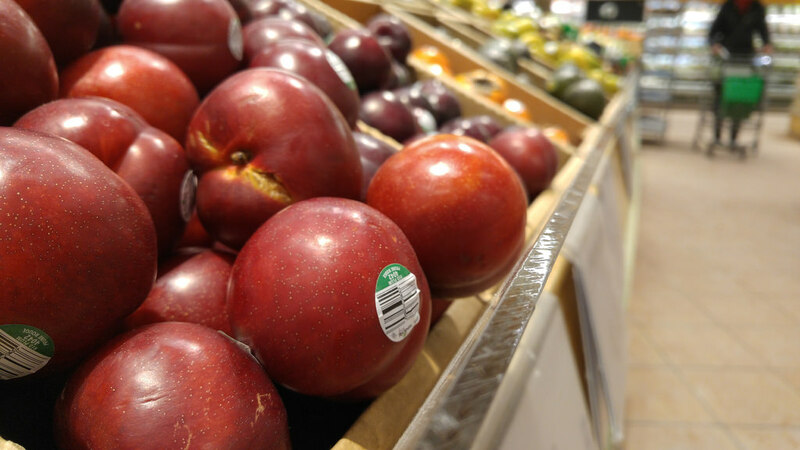 Where to grocery shop on a budget in chicago! I cannot believe it's Wednesday! I am so ready for the weekend. You too? My niece is coming in to visit (she is pregnant so, I cannot wait to see her growing bump). I cannot wait to relax w/ her. She said it is supposed to be 40 degrees in Chicago! 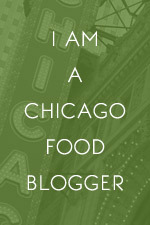 So, two blog posts down, I said that I would share where I grocery shop in Chicago. So, given that I have a small budget & must be creative in my purchases, I thought this list of stores would be helpful for many of you too. Spring/Summer/Fall, I shop at the farmers markets. I love Green City Market the best. I learned from Whitney Lauritsen via Eco-Vegan Gal to go to the market towards closing. And that is a time when most people have left & most produce has already been purchased. It's at this time that you can barter with the farmers. The price is always 50% less than what the cost was even an hour before! I can often buy a week's worth of organic fruit & veggies + pasta for less than 40.00 for the week!!!!! I think Whole Foods gets a really bad rap for being 'so expensive'. You simply have to shop smart when you shop there. I am an analytical mind & I have a spreadsheet for 'everything' ....you know, that kind of gal. So, I once did a cost comparison of produce of major stores in Chicago. Maybe I should do a post on that for all of you - Would you like that? 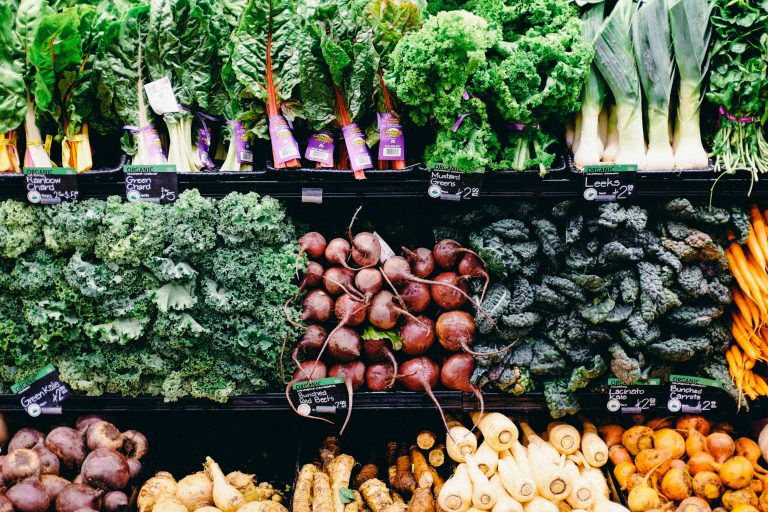 Whole Foods organic produce is the most expensive in the city. And yet they often have the best sales on organic produce reducing their cost to less than many other stores (Including Mariano's, Trader Joes, etc). Also, many of their 'dry products' are actually less than all other grocery stores in the city (minus Stanley's and I've not shopped much at Trader's Joe's but intend to)....gasp. I personally love Whole Foods. I particularly love the Whole Foods on Kingsbury because of it's size. I've always prayed 'God, I would love to meet my husband in the organic fruit aisle of WF'. haha! I am actually serious. I have a friend from college who met her husband there. I am digressing but, I head to Whole Foods for sales basically. And I love the hunt. I feel like this is SUCH A HIDDEN GEM in the city of Chicago! I buy all of my basic supplements from Fresh Thyme! Why? Because they have the best prices in the entire city! I also think Fresh Thyme has amazing prices on 'snacks'! With that being said, like Whole Foods, their organic produce is pricey. I did a post on Fresh Thyme so, if you'd like, please read that! So, that's where I shop. I get my organic produce from Farmer's Markets, sales at Whole Foods & all snacks & supplements from Fresh Thyme. Where do you shop? Where do you find the best bargains? Also, apologies to Trader Joe's. I hear they are fabulous. I just haven't explored them much but, intend to. But, two bloggers that I LOVE (Lows to Luxe & The Golden Girl Blog) shop at Trader Joe's all of the time and share their hauls. I love tuning into what they find! Where do you shop? Are you a budget shopper? If so, please share your favorite finds! What are your grocery cart staples? Please share because I love to chat organic food....which is no surprise to any of you. While I love to try new food all of the time, I am also a 'kitchen staple' type of gal. So, there are always five things you will always find in my grocery cart which I will share below. Before I do, a few of you asked me where I grocery shop. I am a huge budget shopper so, I go to a variety of stores & farmers markets in order to make sure I am buying the lowest cost yet highest quality products! I will do a post on this topic next. Organic Avocados. 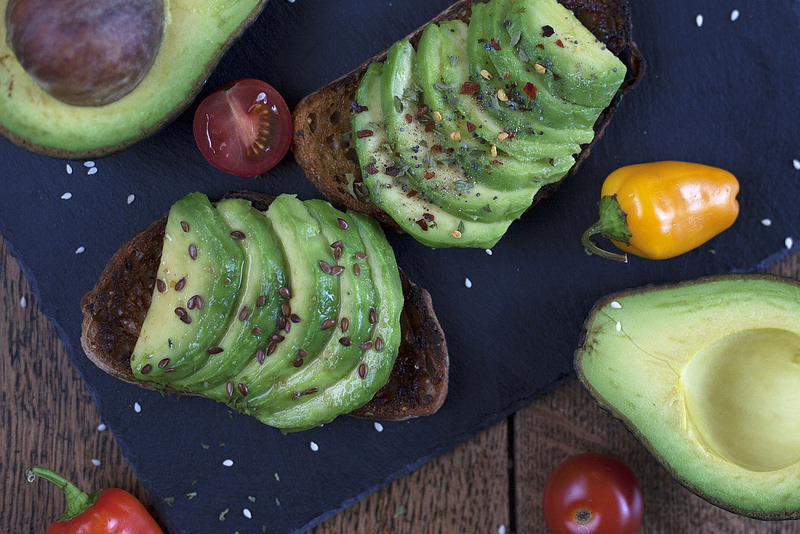 I eat an avocado a day because of it's healthy fats & we all know avocados are packed with too many nutrients to list. Avocados fall on the 'least contaminated list' of the dirty dozen but, I still try to buy organic when I can. Stanley's has organic avocados for ridiculously cheap. By the way. Stanley's often gets a bad rap for their fruit/veggies going bad quickly but, I love the store. Stanley's receives their fruits/produce 'ripe' so, when you go to purchase from them, you need to use what you buy that day or the next. You save approximately 75% on groceries here. Yes, that much. Organic Greens: Organic Spinach & Organic Arugula. I eat organic spinach every single day. It's usually - surprisingly - at breakfast. It's so important to eat greens and I find that I now LOVE greens w/ the help of Primal Kitchen dressings that are available at low cost at Thrive Market. P.S. The Primal Kitchen Ranch w/ Avocado Oil is the best dressing I've ever had and it's always in my fridge (Note: One bottle lasts a long time). Rebbl. Rebbl Dark Chocolate Protein Drink is the most delicious drink. You actually have a reaction when you drink it...I kid you not. I always have at least one of these in my cart every single time I shop. I have drastically cut down on even healthy sugars (maple, stevia, cane sugar, etc.) and Rebbl curbs my cravings while filling my body with some pretty amazing nutrition! You can read their ingredients here and how their product philosophy here. So impressed! Organic Tomatoes. Potentially a boring staple to some but, I love juicy organic tomatoes!!! I eat a tomato every day. A favorite combination is avocado toast with a sliced tomato on top or I eat tomatoes plain, sliced & w/ sea salt and sometimes olive oil drizzled on top. I also love to snack on small cherry tomatoes and sea salt vs. say, chips. Vega. Vega products are in my cart every single time I shop. The products vary but, I always have Vega snack bars and/or Vega protein shakes which I have fallen in love with. All Vega products are 100% plant based & the highest quality ingredients via plant based protein on the entire market. I buy the snack bars from this little health food store on Webster called Life Springs Health Foods because their prices are so marked down. It's AMAZING! The prices are 50% less for their protein bars than Whole Foods. Wow. I would love to hear what your staples are! Do tell! Enjoy this 60 degree weather Chicago! I have a strict & small budget that doesn't allot for much clothing purchases. Right before I had gotten sick (we are talking three weeks before), I had purchased a long black Northface coat, Hunter boots & a TON of ski gear. And I thank God I was able to do that because my Northface coat & boots have lasted since 2010! My Hunters are slit up the sides though now - Has that happened to any of your Hunters? Please share! I literally - rarely - buy clothes because 1). My dollars go toward medical expenses in Chicago & primarily organic food (and of course bills). This leaves little leeway to zero dollars for fashion. I have had to get so creative about every purchase I make. I wrote about budgeting here for MindBodyGreen. And I find living with less quite freeing in many ways actually. I try to find joy in what I have vs. what I do not have. In the winter, I basically wear one of two skirts every single day w/ exchanging one of four sweaters, three pair of tights, Hunters, TOMS ankle boots & above the knee boots I have had for 7 years. I wear a lot of pajamas too as I am in bed a lot. And that's the bulk of my wardrobe. As I said, I have had to get creative. 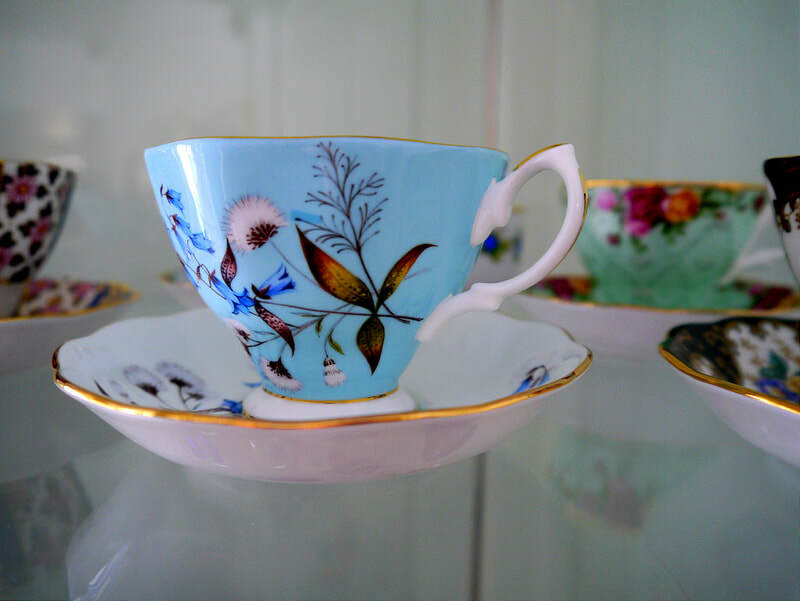 Let me share three classic style ideas for those of you that have a small budget as well. 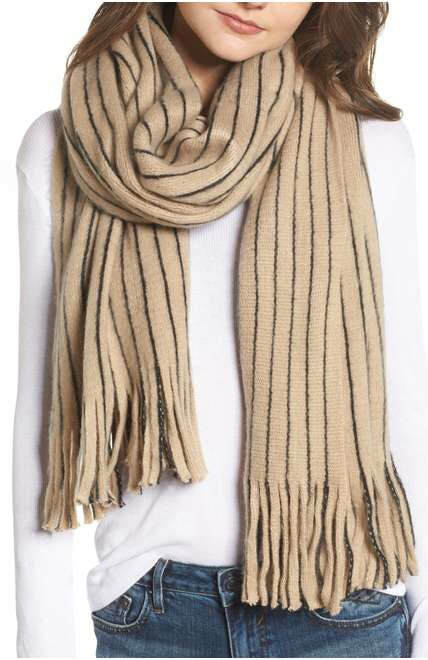 The scarf in the photo above is 12.00 at Nordstrom w/ free shipping. Grab it! It's classic & versatile and goes with basically everything. You can wear it Winter/Spring/Fall. And I think it easily changes up any outfit. As shown in the photog, it dresses up even a crisp white shirt. 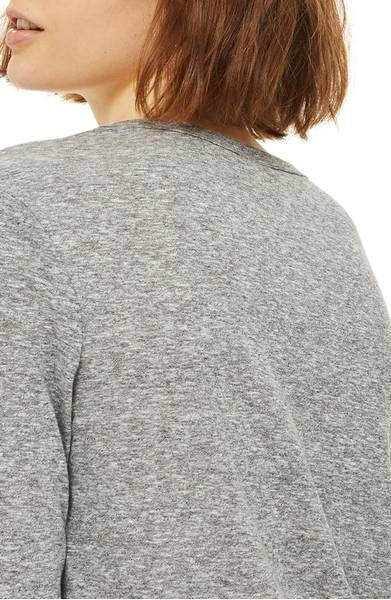 I really love layering & this marled grey tee at Nordstrom above is 13.00. What a steal. Add the scarf above (choose striped scarf in navy) to this tee w/ skinny dark jeans or a skirt and you have a classic outfit. I also love wearing this tee under black/navy sweaters for a bit of dimension to a monochromatic look. If you are going to splurge on one year-round versatile item, this top is a great choice. 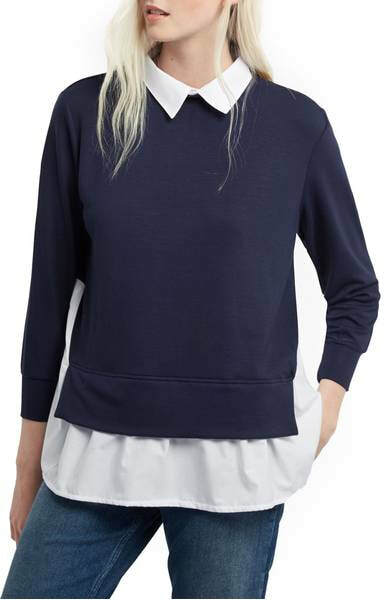 Being that it's Navy & White, it will go with pretty much everything in your closets. It's again - classic - with a bit of preppy infusion which I personally love. You can wear this year round......yes, even in the summer on breezy nights. It's casual but, can be dressed up with heels or even dressed down with sneakers. I first saw this top by the way on ﻿﻿kellyinthecity.com. ﻿﻿And I don't have the top but, hope to one day. Guys, you can pull off a classic style at any budget at all. You just have to shop smart and get creative w/ what you already have. And if you can buy nothing at all? 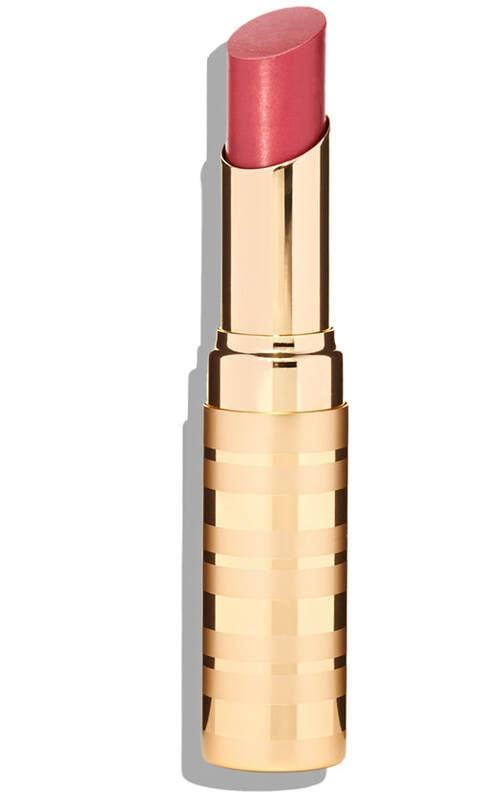 Dress up your style w/ a red lip or even change the part in your hair. Yes, changing the part in your hair changes your entire look! Lastly, if you are really into fashion & have the budget, my favorite fashion blogs are kellyinthecity.com and my absolute GO TO is thegoldengirlblog.com. It's freezing in Chicago. And the majority are struggling w/ how to stay motivated w/out sunlight & being able to be outdoors for any length of time. 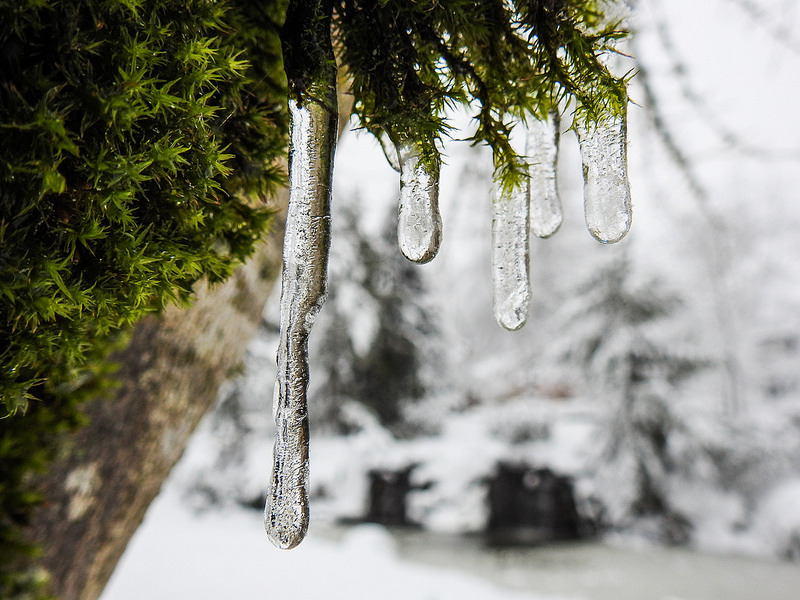 Are you over this cold front or do you enjoy it? I'd love to hear how you are surviving these frigid temps. I have always been in the minority because I enjoy it. I know, don't throw a snowball at my head. When I used to be in medical sales, I traveled all over the country. And I was exercising daily as well as hosting evening dinner programs for physicians multiple times per week. My free nights, I was playing co-ed softball & volleyball in the city. I LOVED it all but, I always looked forward to winter. Winter was a time to hibernate and drastically slow down the pace. It still is. I would exchange my 7-10 mile daily runs for the sauna at the gym or no exercise at all beyond gentle stretching. To me, winter = shedding. It's a season to declutter, provide extra nourishment to your body & soul and shed the 'excess'. 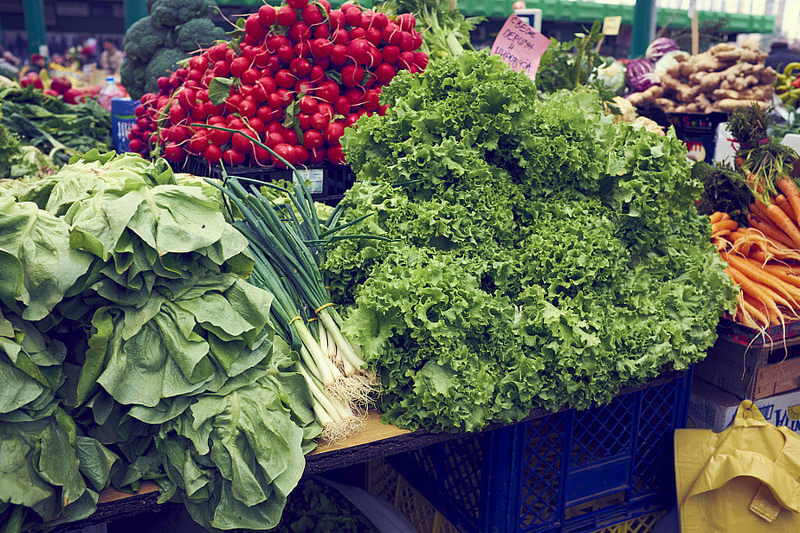 Eat as many organic greens & veggies as you can. You need to boost your immune system to starve off the nasty flu going around. Get your Vitamin D in (Go for 10,000 IU a day minimum). I love Garden of Life's Vitamin D best. Have fun building your 'home wellness apothecary' from going through your supplements & herbals in your cabinets to cleaning out the food in your fridge. Reorganize it all. Trust me, it'll feel SO good when you done. Spend time cooking & baking at home. Invite friends over for warm tea & whatever it is you baked. 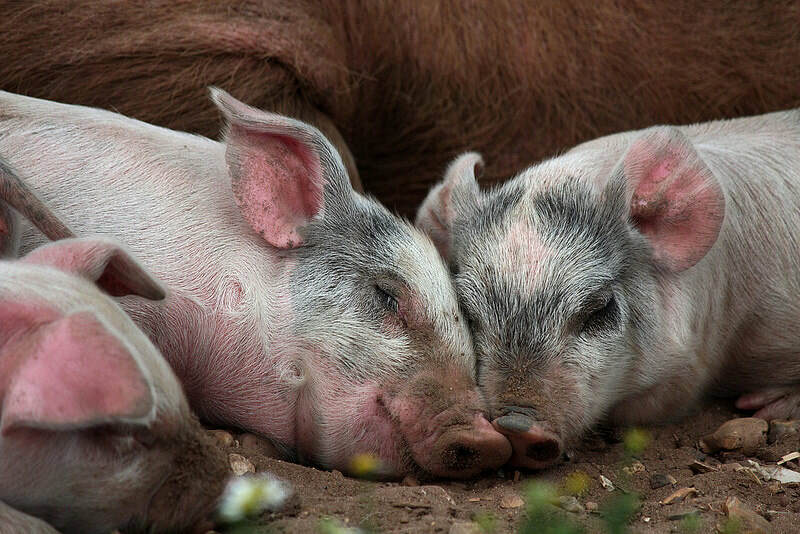 ENJOY & EMBRACE the slower pace rather than complain about it. This is the perfect drought (as I refer to it) to read your favorite books. Because come Spring, you will be out that front door catching up on the plethora of Chicago activities. I am presently reading 'Legacy of a Pack Rat by Ruth Graham Bell'. I received the book for Christmas from my sis. I am loving it. And I just ordered a Proverbs at home bible study that I am really excited about. Special Note for those w/ Lyme Disease: Reading can be tough for people w/ Lyme (b/c the blood vessels aren't constricting properly in the eyes) so, for those of you suffering, try audio books! You can go to YouTube and find every type of workout from floor Pilates to yoga to weight lifting. You can find workouts that are 5 minutes (Yes, those are a thing) to 1 hour. So, essentially, no excuses. Move your body in the warmth of your own home! I feel like this is the PERFECT season to explore all of the Chicago museums. Go with some friends and/or your family. If you are driving, they all have indoor heated parking & if you are taking public transit, simply bundle up! In the city of Chicago, our neighborhoods are our little islands. 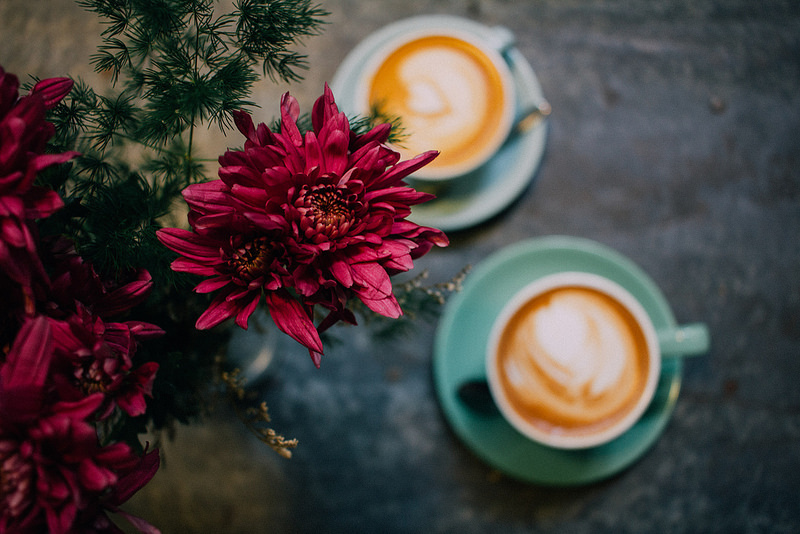 Head out into your neighborhood to meet friends & neighbors for hot chocolate or brunch. It is important that you do not isolate in the winter as it's so easy to do. And I think it's when people isolate that they fall into the doldrums or SAD (seasonal affective disorder). My favorite place in Wicker Park/Bucktown to meet friends is Milk & Honey on Division. The food is delish, it's a neighborhood staple & the blazing cozy fireplace warms up the small space quickly! I also love meeting my friends w/ little ones at Stans Donuts because it's lively, colorful and well, they have the best donuts in the city. I hope these 5 tips helped! Bundle up Chicago!!! Burrrrrr.......it's freezing in Chicago (literally). Have any of you seen those epic photos of the frozen Chicago River? Whoa. These are the days when you venture out in the am & stay cold throughout the day because the chill has reached your bones. My mind always goes immediately to the lost pets and outdoor cats. I am always so concerned for them. If you ever happen to see one, please try to save it and take it a nearby animal shelter. Wow, that is so off topic but, I digress. I thought I would share five simple tips to ward off the winter cold/flu-bug in exchange for a boosted immune system. And trust me, they are simple, doable & they make a huge difference in your health. 1). Eat more organic greens. Simple enough, eh? Sauteed greens are great because, not only are they nutrient packed but, they are warming to the body. Eat as many as you can everyday. If you absolutely just loathe greens (I know some of you do - ha), then take huge handfuls and place them in your smoothies. You will not taste them w/ all you add in. My favorite smoothie always involves Vega or Dr. Axe protein, a hearty spoonful of unsweetened almond butter, organic berries and a huge handful of extra organic greens. 2). I am not a doctor as ya'll know but, I highly recommend Liposomal Vitamin C. It's quickly absorbed & has better absorbency than say, a typical Vitamin C coated supplement. I cannot recommend more highly. The one I take daily is here. 3). A high potency probiotic. I have been told that you want a probiotic with as many strands as possible. And it's important that you 'switch up' your probiotic frequently. My favorites are Garden of Life & Dr. Josh Axe's. It's agreed upon by every health practitioner that a daily probiotic is critical. If your bacteria are sick, you are too. And over 70% of the cells that make up our immune systems are housed in the gut wall. Read this article to get educated if you aren't already. 4). Boost your mood. Yes, it's true! Our immune systems functions better when we bolster our healthy living strategies. And this includes mood. Create habits that bring you JOY every single day. Some ideas are: Meditation (even 5 minutes) morning stretching, lunch w/ a loved one, playing w/ your children or pets, a workout or any hobby that you enjoy. 5). Get as much sleep as possible. The best advice on sleep that I have ever personally gotten is to place your phone in another room...shut off of course....a minimum of two to three hours before you go to sleep. Read or simply 'be still' and allow your body to relax. I always do deep breathing exercises before I fall asleep. It relaxes me and helps get me into a drowsy state. Finally, sometimes I like to slowly & gently stretch my fingers/feet/ankles/hands/wrists/legs/neck & back before I fall asleep. I know these were all quite easy steps but, that was the point! Let me know if you incorporate any of them moving forward and if you have any additional tips! Also, hold on Chicago...and New York, bundle up friends! Next week is supposed to be in the 30's which will feel like Spring haha! into the people that God created us to be. Salute to new beginnings my friends - Happy New Year!!!! Sustainability has always been important to me but, the past several years, it's become crucial to my well-being. I have learned hacks from the best physicians & experts across the country. And I want to share some really amazing 'home hacks' w/ you! I make my own natural/healthy/toxic free laundry detergent. I got the recipe from ﻿Alyssa Bethke﻿ on her Instagram Stories a year ago. 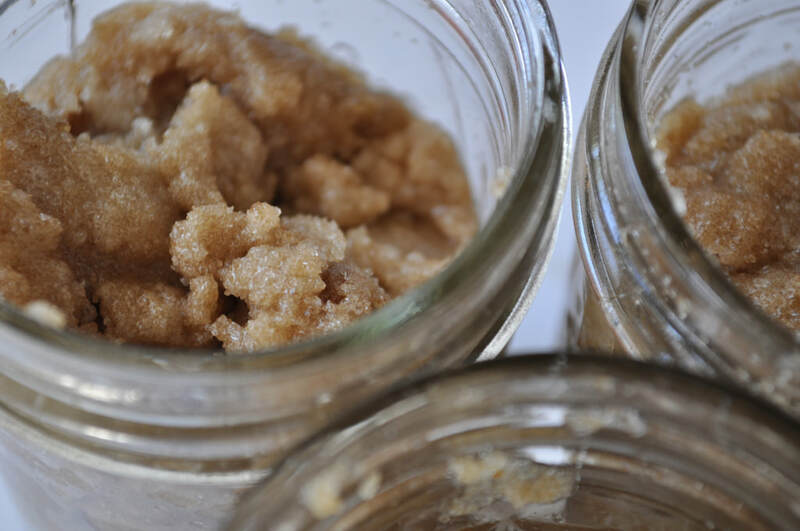 Making my own laundry detergent has cut my yearly bill by 75% and the homemade detergent is so much healthier, toxin free & cruelty free, leaving my clothes soft & clean. Alyssa also makes her own fabric softener which I will share the recipe below too. I've yet to try the latter but, I will. Mix it all in a large gallon container. Wala, you have laundry detergent for months on end. Place in a glass jar, shake & you are ready to go for months (depending upon how many are in your household). Of all of the water filters available, I swear by Aqua Sauna. I am committed to the brand because of their high quality products and no, I have zero affiliation with them. They filter out more than any other filter on the market.....in - the - country folks. I recommend purchasing a water filter, sink filters & shower filter. 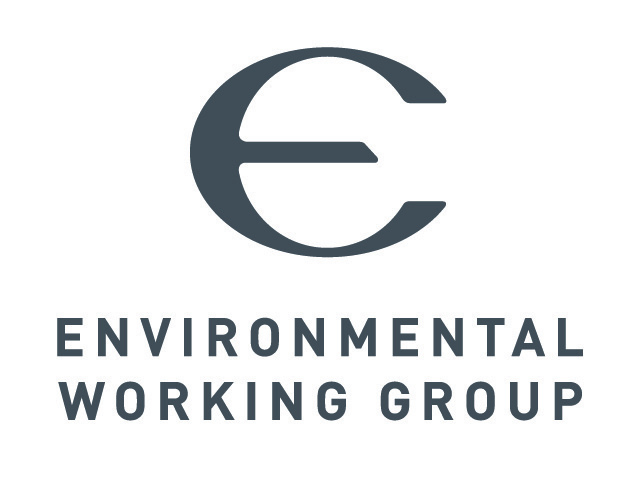 Get educated from Environmental Working Group on the importance of filtering your water. Deodorant. We all now know that the lead & aluminum in most deodorants cause cancer as well as clogging the lymphatic system. The challenge with most natural healing deodorants (yes, I said healing because your body will need to heal from the years of damage from toxic deodorants) is that they do not work....they either leave you dry yet w/ odor or they leave you with no odor but sweaty. 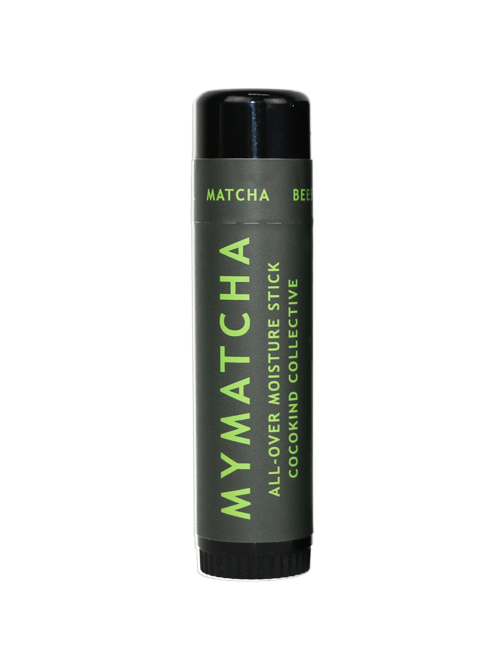 I have tried countless natural deodorants and I have only found ONE to work 100% of the time. And that is Soapwalla. Soapwalla now has options for those who are extremely sensitive to baking soda. I promise you, Soapwalla is the best. I use this one. I don't even have to reapply (sometimes for 2 days which is wild). I am really into natural oils. And I am into not spending much money on outrageous skincare oils when I know you can get the same results for less than half the cost. I've used so many luxury brands in my former life (while in the medial arena) & when my budget changed drastically, I focused on high quality yet less expensive oils....they work the same if not better. My favorite oils are: JoJoba Oil, Argon Oil & Echo Vie Organic Body/Facial Oil. I am also experimenting w/ CocoKind Skincare line as you cannot beat the prices of 12.00 and under for the most pure ingredient list. IF I am able to splurge, I love the BeautyCounter Facial Serum / I purchase my BeautyCounter products through Chicago Senior Director, Bonnie Knobloch. She is fantastic at helping you choose the best products for your skin (makeup too). I really want to try the BC Facial Brightening Oil and goop by Juice Beauty Facial Oil is incredible. I have dozens of food hacks but, today, I am going to just share one: Garlic. So many home hacks w/ good ole stinky garlic! First off, store garlic in a dark pantry away from sunlight. If you put garlic in the fridge, it will moisten which you don't want. Secondly, are you ready for the benefits of garlic? 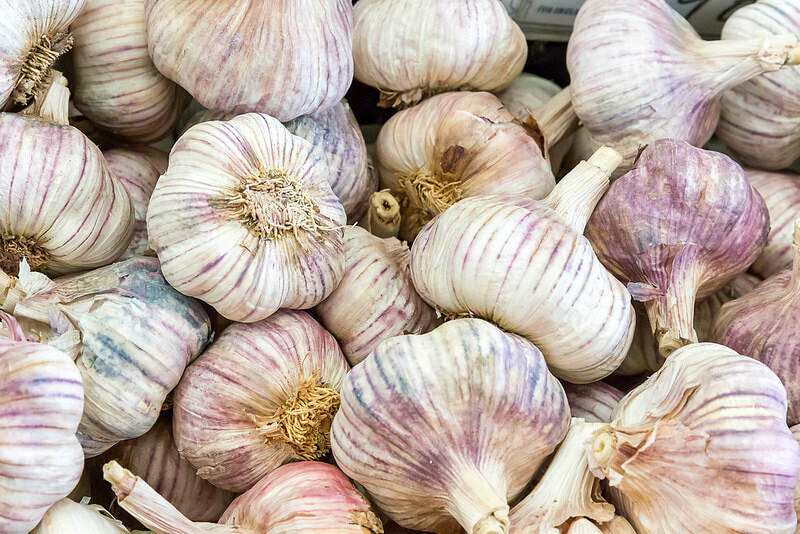 Garlic has vitamin B6 and anti-microbial factors which starve off respiratory infections, reduces cancer risk, treats diabetes andddd aids in healing psoriasis. Why is garlic on this list of home hacks? For me, I use garlic for all ear & throat infections (hence why I rarely have them). I place a garlic clove in my ear & tape it there. I sleep with it overnight and by morning any remanent of an ear or throat infection is gone. I place garlic on any splinter which removes them.....place a garlic clove on top of the area of skin w/ the splinter, add a bandaid and wait.....within a few hours the splinter will come out naturally. YES - haha! I blend garlic into elixirs & sometimes organic green juices because garlic contains high amounts of sulfur which detoxifies the body. Now I learned this next hack from a website years ago!!!! And I jotted it down in a journel. I don't recall the site (that's the worst feeling) but, here are the notes I took....it's for lessening grey hair: Heat 3-4 garlic cloves with coconut oil and fresh grounded black pepper. Let it cool and apply on the wet hair as a mask. Keep for 20 minutes and then wash your hair as usual. I've used this hack above since I was 30 years old and I think I only have two strands of grey hair to this day! Pretty cool! What are your home hacks? There are so many more but, I figured I'd lose all of your attention if I kept going. But, there will be a 'part two' to this blog post where I discuss home cleaning product hacks and several more home & food hacks. Hacks are so fun, budget friendly & healing for the body and environment!!!! Note: None of my content is sponsored. All opinions are my own & these products & companies mentioned are ones I happen to love and use daily. Every year I choose ONE WORD as the theme of my entire year. I got the idea from ﻿'My One Word﻿' which is so brilliant because my 'one word' fuels every goal I have for 2018. I highly recommend going and picking your word (and no this is not sponsored) as the steps are laid out for you! And thank you to Jason Helveston (Pastor at my church & incredible author of 'Tell Me Everything') for sharing about My One Word on your website where I first learned of the concept. My One Word replaces broken promises with a vision for real change. When you choose a single word, you have a clarity and focus. You are moving toward the future rather than swearing off the past. My one word for 2018 is NOURISH: Nourishing my relationship w/ God - Eating nourishing foods - nourishing my body via healing - nourishing conversations - only being involved & trusting in relationships that are nourishing - nourishing what makes me feel alive - nourishing others via service. The definition of nourishing is.... to supply with what is necessary for life, health, and growth - to cherish, foster, keep alive - to strengthen, build up, or promote. 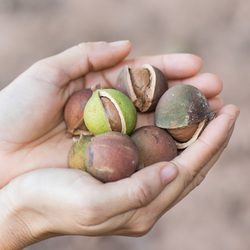 The word 'Nourish' first spoke to me when I saw that MindBodyGreen is rolling out a 'Nourishing New Year Program' . I quickly signed up and encourage you to too. 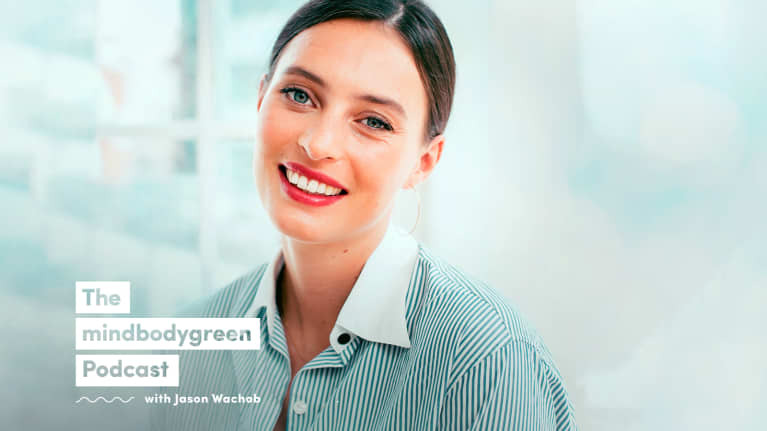 I feel that MindBodyGreen is 'always' on the cutting edge of wellness and the leader in wellness across the country. As I followed the steps for picking my word, every single thought and note I would journal led to....NOURISH. And choosing NOURISH means a complete overhaul of.....well, my entire life. The authors of 'one word' - Mike & Rachel - said 'Don’t be surprised if living out your “one word” feels unnatural and awkward at first. Remember, the reason you want to change is due to the fact that this godly characteristic is not currently present in your day-to-day life. Give it time and stay with it'. So, what will be your own word in 2018? Hi everyone! I know it's been awhile. I've missed you and I know we all have a lot to catch up on! So, a coffee date is in order! For now, we all need to pull together & help those in Texas. They are living through utter incomprehensible devastation. We all need to pray without ceasing. How can we help? There are so many ways to help but, my money is going to﻿ Preemptive Love Coalition﻿ whose team is on the ground (we know this as a fact as they are providing video footage of their team there) in Houston, TX. They reiterated that the flooding and devastation is unreal. You can go to this link to contribute and stay updated. Let's all pull together and contribute. Otherwise, I will resume blogging at a later day guys. I just do not feel comfortable blogging right now about food and wellness when our neighbors in Texas are suffering and need us. So my time is going to pulling together donations in various forms to ship to Texas. God Bless. And enjoy Labor Day weekend.